A new technical solution GEOSPLIT allows long-term monitoring of well inflows upon well completion. 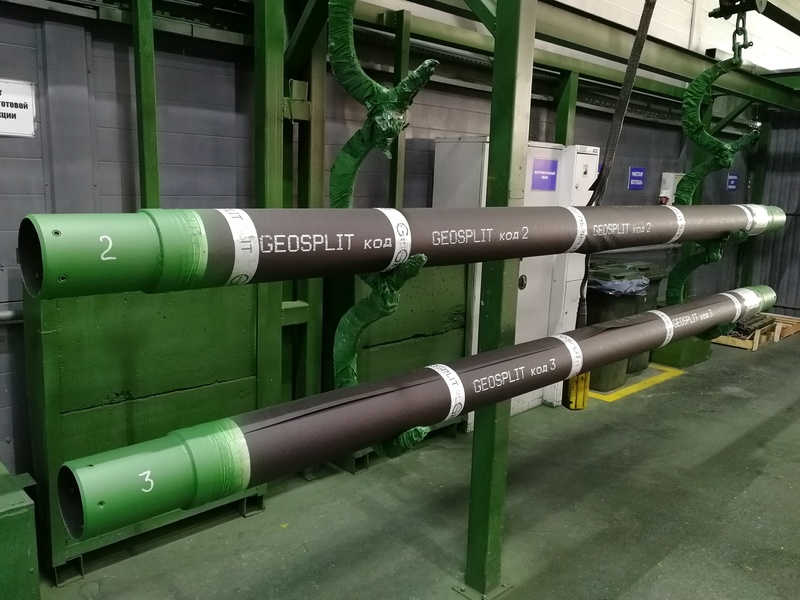 The company "GeoSplit" successfully brought to the market a new product - downhole cassettes with marked material. A new technological solution allows long-term monitoring of well inflows upon well completion. This product was developed to support the increasing interest of subsoil users in marker research. The successful results of using the base product - marked proppant GEOSPLIT - served an excellent basis for expanding the product portfolio and bringing technology to a new level. 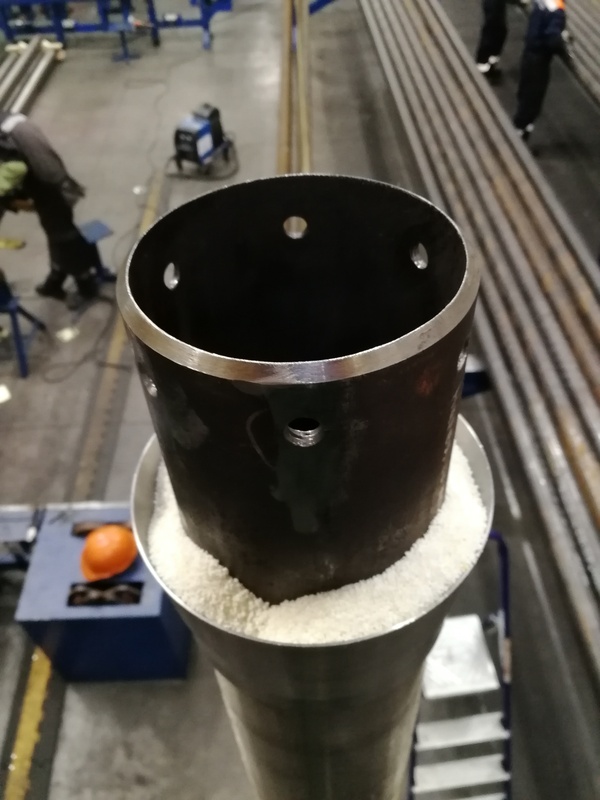 Placing markers-reporters in downhole guards and filters for a long-term period is an alternative to the proppant solution, for example, in cases when a multi-stage hydraulic fracturing is not planned in the well or there are limitations on the volume of injected proppant. The principle of the technology operation is that polymer compositions with markers-reporters are placed in borehole filters or guards of a special design. The polymer coating reacts with the formation fluid, markers-reporters are washed out with water and oil. As a result, water and oil phases of the fluid are automatically provided with inflow indicators. The technical solution proposed by the company “GeoSplit” is one of the key factors for field digitalization which can significantly improve the economic efficiency of field development. The use of machine learning algorithms enables to conduct automated high precision sample analysis. The main advantage of the technology is the ability to obtain data on the well and reservoir operation regularly within five years. Moreover, stoppage or alteration of the well operating mode are not required. “2018 was a breakthrough year for GEOSPLIT technology. We have successfully brought to the market a new technical solution - markers in the lower completion. Our first product, marked proppant, is used to monitor post-fracturing operations, and a new solution comes into effect once the downhole equipment is lowered into the well immediately after drilling. This significantly expands the market for the product: after all, not all the wells are undergoing hydraulic fracturing operations. In addition, in the nearest future we are intending to present a product for the study of gas wells and are working on the creation of acid-resistant quantum markers. This is done taking into account the development of the export direction: the fact is that if well stimulation is mostly done using the multi-stage hydraulic fracturing method (using proppant) in Russia then, for example, in the Middle East countries, the method of wells stimulation using acid injection is more common ".